I know I missed last week’s weight loss update. Nothing much happened and I gained a pound 🙁 I know what it’s from though so I am able to correct it. It was that time of the month when all I want to do is lay around and not eat. Well that becomes a problem because I am supposed to be eating at least 5 times a day. If I am just not eating and lying around then my body will go into panic mode and think that it won’t get the nutrients that it needs and start holding onto fat and water. 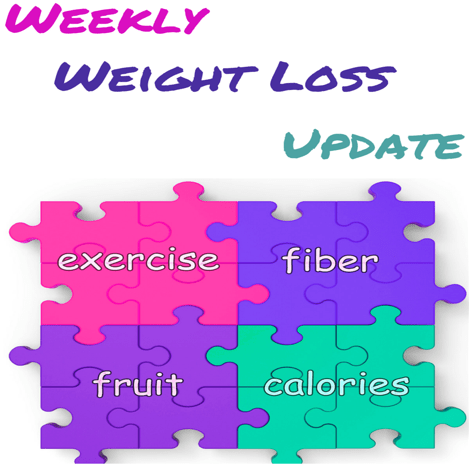 This week I lost 2 pounds! So I lost last week’s plus 1 which is awesome. I am now 213 and my goal is to get to 200 by the end of this month and the end of the program. I can still get the food and shakes but they won’t be covered by my husband’s work. I am so proud of myself. I’m surprised that I’ve been able to stick with it this long. We are slowly starting to just eat regular food but watching our calories and exercising portion control. I think I’m doing pretty good with this. I seem to not be able to eat as much as I used to and I only get a small amount. The week that we started being able to eat protein like chicken was when I realized why some people, a couple of years ago, were being joked because they would go into a fast food place and ask for a sandwich without the bun, now I realize why they were doing that. Since bread has soo many calories, it’s easy to use all your calories on a sandwich. Since we are able to start eating regular food, I have been buying Arnold’s Potato Bread which has no high fructose corn syrup and is only 100 calories which is awesome. My next to-do is to get a food scale so that I can weigh my food and make sure I don’t go over my limit. Oh! Today I bought some ground turkey meat to try. I’ve been hearing a bunch of people in the class talk about using it, so I figured I would give it a go. So I’ll let you know how that goes this coming week. That’s all for now. I’d love to hear how your journey is going. Email me and let me know how it’s going!